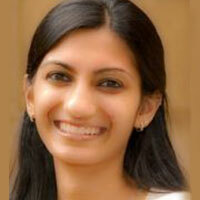 Payal Hathi is a Ph.D. student in Demography at the University of California, Berkeley. Her research interests centre on health and well-being in India, with a focus on social inequality, gender, sanitation, and the environment. Originally from southern California, Payal holds a B.A. in economics from UC Berkeley and an M.P.A. in Public Policy and Development Studies from Princeton University’s Woodrow Wilson School.